To provide support for and publish and distribute information to groups and individuals suffering from or interested in ME/CFS including their families and carers. To provide a National focus for and to represent individual sufferers and support groups for ME/CFS in New Zealand. To promote research into the study of ME/CFS, and of the causes and treatments of this disease and to liaise internationally and keep abreast of current research. To maintain ANZMES position as advisory body in this area of ME/CFS. To raise awareness of ME/CFS by educating health professionals and the wider community about this medical condition. To produce a regular publication to all subscribing members to disseminate information and support. 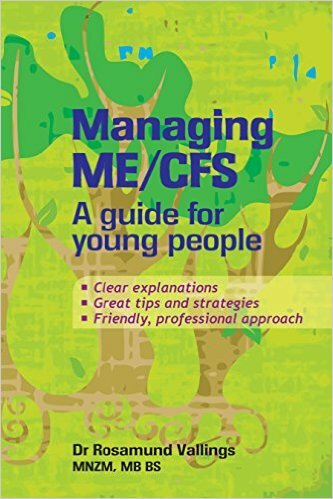 We provide information, support and practical advice for people, families and carers affected by ME/CFS (Myalgic Encephalomyelitis/Chronic Fatigue Syndrome). We also fund and support research, and offer education and training. ME/CFS is a debilitating and complex disorder characterized by profound fatigue that is not improved by bed rest and that may be worsened by physical or mental activity. Symptoms affect several body systems and may include weakness, muscle pain, impaired memory and/or mental concentration, and insomnia, which can result in reduced participation in daily activities. ME/CFS is known by many other names such as Tapanui Flu, Yuppie Flu etc. In New Zealand, it is estimated that there are around 20,000 sufferers. ME/CFS is thought to afflict around 150,000 in the UK, and over one million in the US. The economic cost to each family with a sufferer has been estimated to be in the region of NZ$35-45,000 per year. Whether you are a person with ME/CFS, a medical professional, a caregiver or just curious, we hope that the information you find here will improve your understanding of this devastating illness that affects approx three/four in a thousand New Zealanders. There is a network of support groups throughout New Zealand that are are affiliated to ANZMES. On this website, you will find a range of useful information for sufferers and their families, caregivers, friends and medical professionals. It is an evolving site however, so please visit again. Donations to ANZMES are welcomed. This year ANZMES is offering members the opportunity to receive the Meeting Place Magazine in either Electronic Format or Hard Copy. Membership entitles you to four copies of ‘Meeting Place Magazine’ each year and access to a comprehensive selection of informative resources about ME/CFS. ANZMES Subscription is $40.00. A family membership is available at $5 for each other family member who wants to join, when the first family member has paid a full sub; each family receives one Meeting Place Magazine per quarter. The family membership is beneficial in that it boosts our membership rate for national lobbying etc. A reduced subscription of $20 per year is available for those who have financial constraints. ANZMES does offer a free membership for those who really need it. Contact Debbie in the office here if you require this type of membership, we are very happy to help you out with this. Acts as a key contact organisation for individuals requiring advice, advocacy, and support. Works to improve the public visibility and recognition of this condition in New Zealand through our Annual ME Day and other publicity initiatives. Provides education for patients and medical professionals in New Zealand, with the goal of ensuring that those with ME/CFS are treated with current best practice and respect in their communities. Invests in ME/CFS-focused research being undertaken in New Zealand, to ensure that New Zealand is playing our role in finding ways to understand, manage, and treat this condition. Organises training opportunities for local support group leaders, helping them to provide meaningful support, facilitate connections between those with ME/CFS, and advocate for their members. Represents those with ME/CFS at a national and international level, including lobbying with the Ministry of Health and collaborating with other ME/CFS organisations (such as the International Alliance for ME). Please send us your name, address, telephone number, and email address if you have one. Include your subscription and any donation you may wish to make. You can pay by cheque if you would like, payable to: ANZMES Inc.
A membership renewal form is inserted in the Meeting Place Magazine at the end of each financial year (April to March).